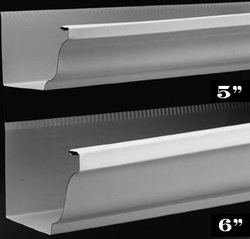 Evenflow Seamless Gutters will custom design your gutter system for optimum performance on your home. We also use mitered corners for fewer seams and increased structural integrity which virtually eliminates the possibility of leaks. 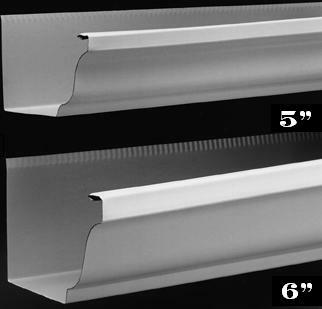 Using our standard 5” width, and now 6” width, we are able to manage rain that is collected in long gutters intersecting from multiple roofs found on larger homes and commercial buildings. Our downspout connections have "factory inserts" for a stronger and more solid connection. Evenflow Seamless Gutters, LLC, concentrates on providing our customers with personal, one-on-one service for every rain gutter installation. We believe it is this friendly, reliable approach that has gained us many repeat customers and referrals. "Thank you for another job...well done! I wouldn't hesitate to recommend your company to anyone! You care about the work you do and it shows!" "Thank you for a great job. We appreciate the thorough clean-up, too! Feel free to use us for recommendations."